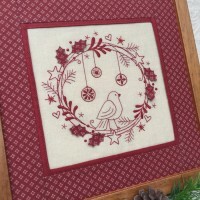 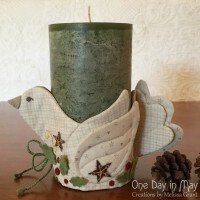 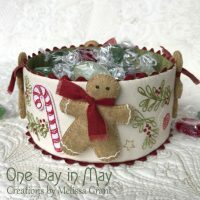 – Add a little embroidered charm to your festive home, with this decorative jar or candle wrap. 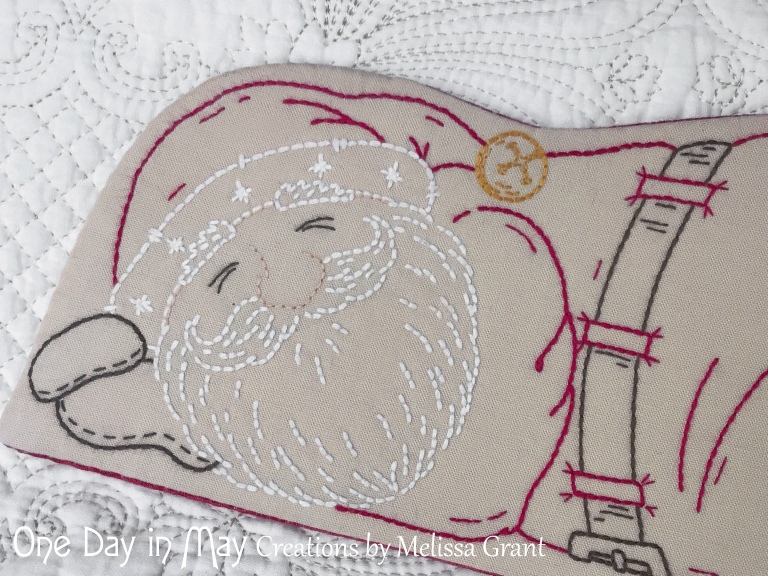 Sleepy Santa finds a comfy spot to nap before beginning his night of rooftop navigation and chimney negotiation. 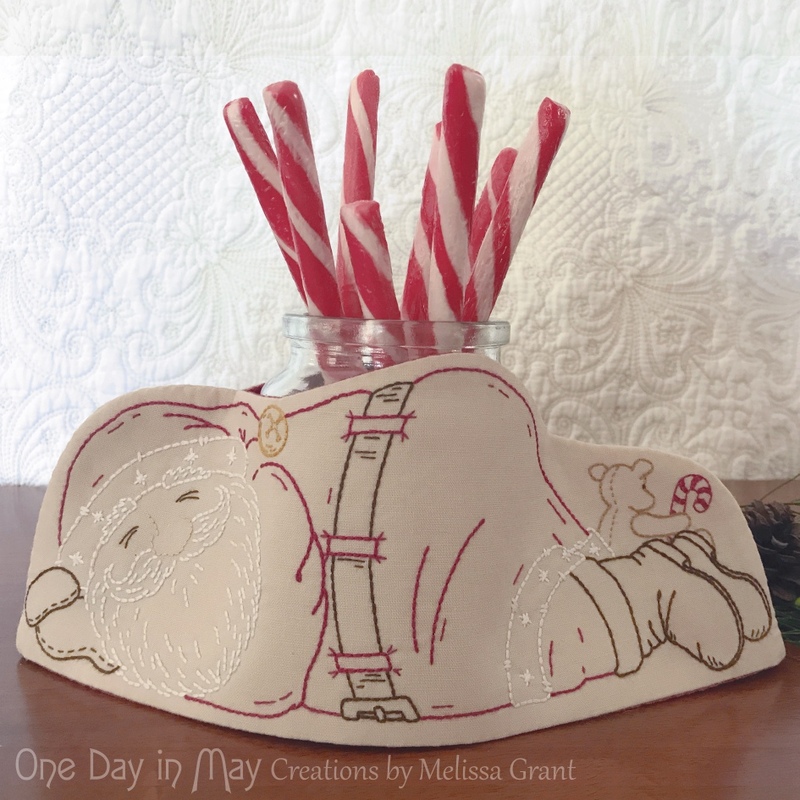 A small bear sits by Santa’s feet, hinting at the treasure hidden behind. 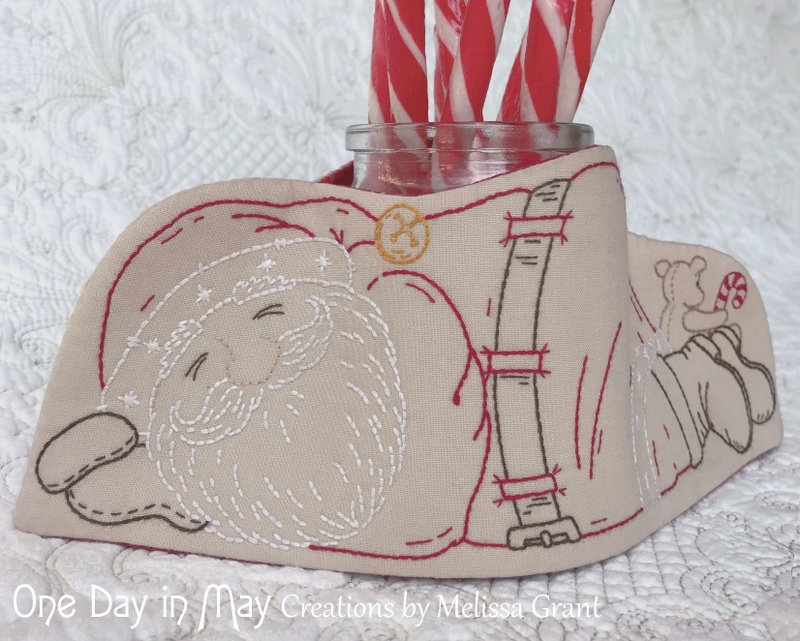 Turn Santa around to discover an overflowing sack of vintage toys and gifts tied with bows. 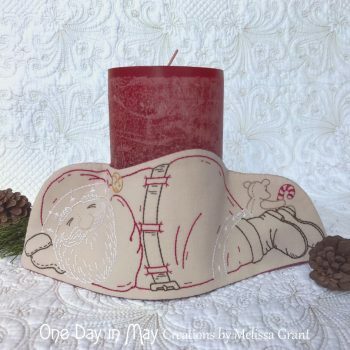 This wrap is designed to fit over an 8 – 9cm diameter jar or decorative candle (sized to suit a small mason jar or 100gm coffee jar). 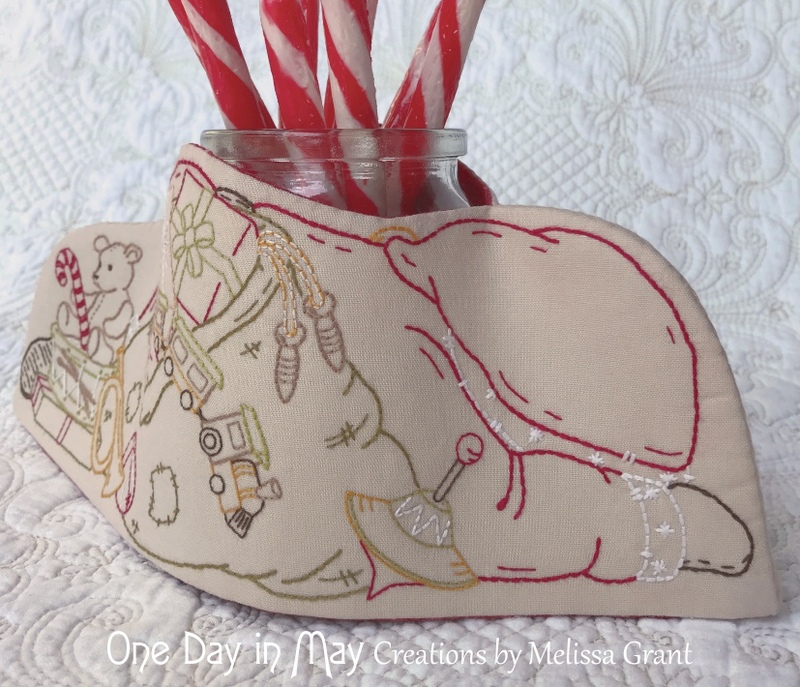 Fill your jar with candy canes or other Christmas treats. 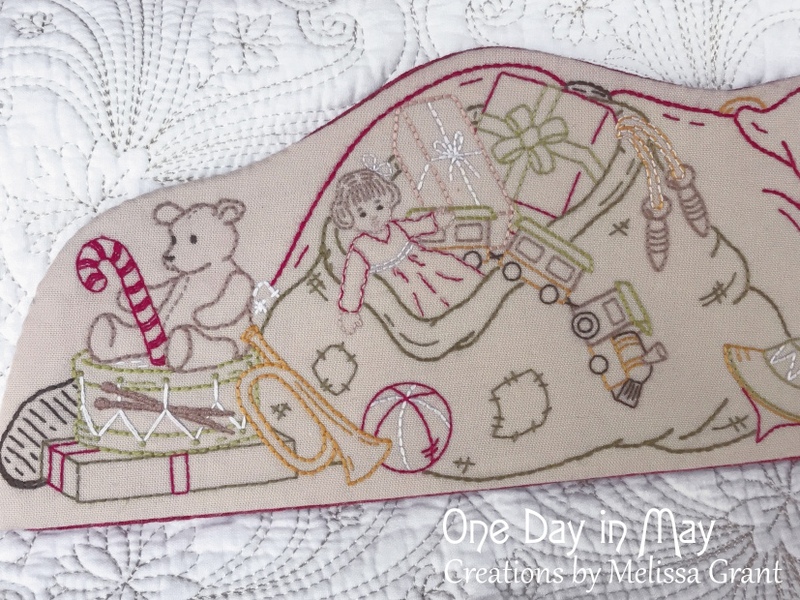 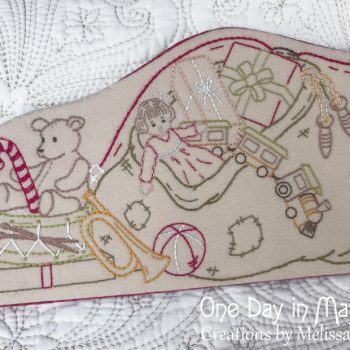 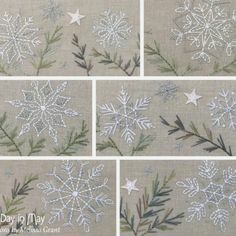 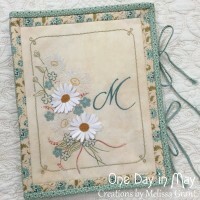 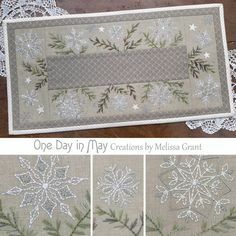 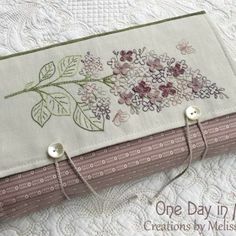 – All embroidery is sewn with simple stitches. 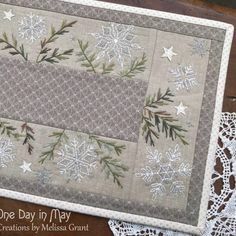 Two thread colours are sometimes used together to give a variegated look. 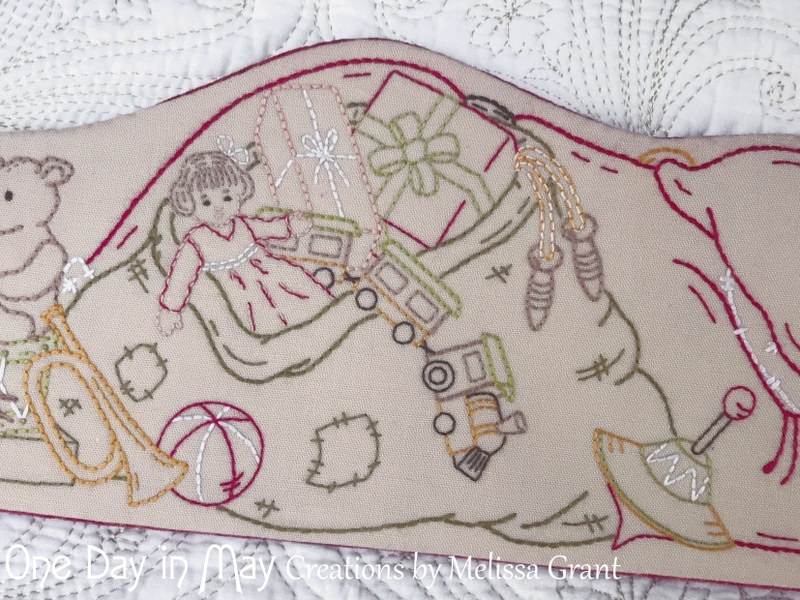 The threads, and therefore colours, twist as you sew, resulting in colour variation from one stitch to the next. 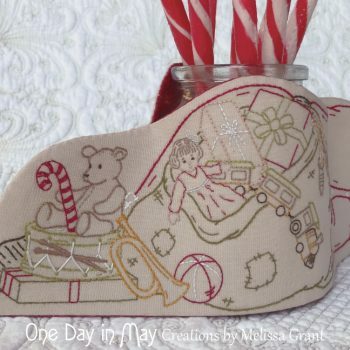 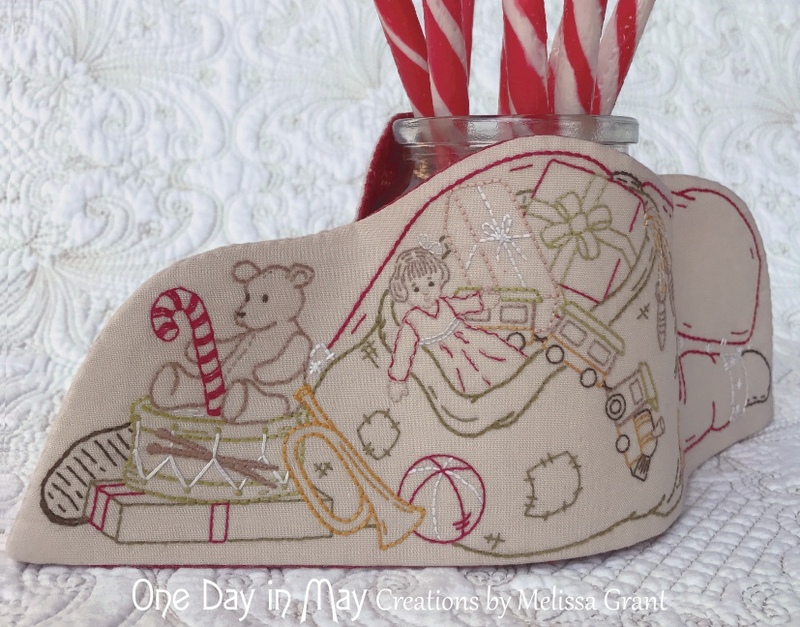 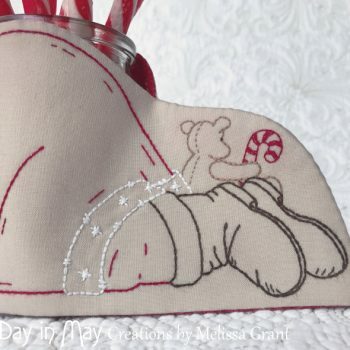 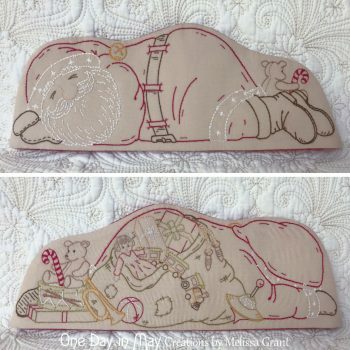 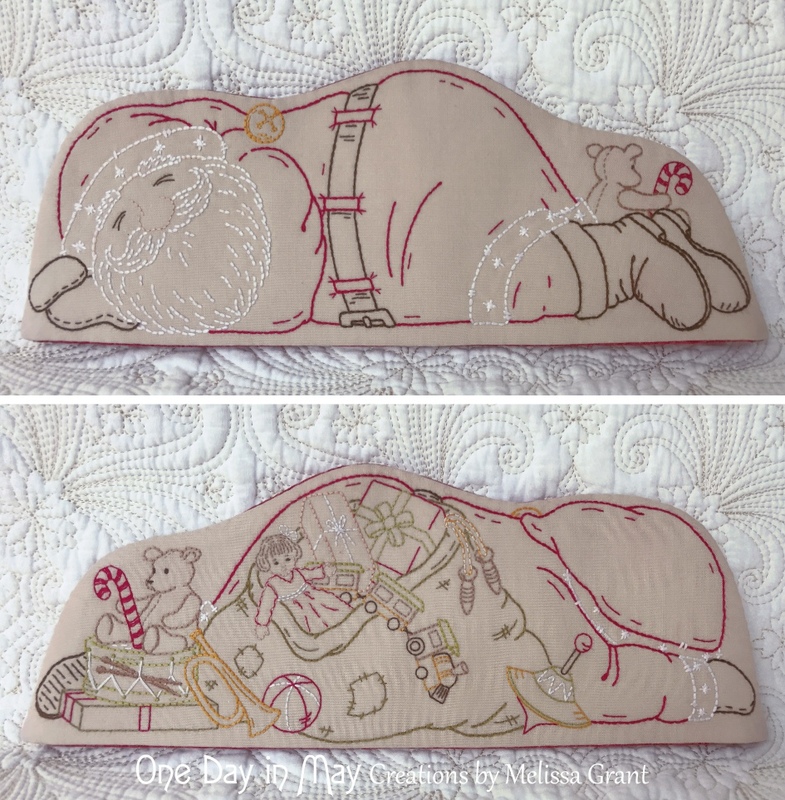 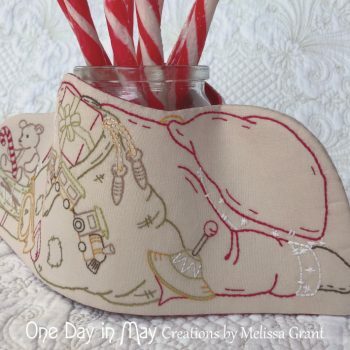 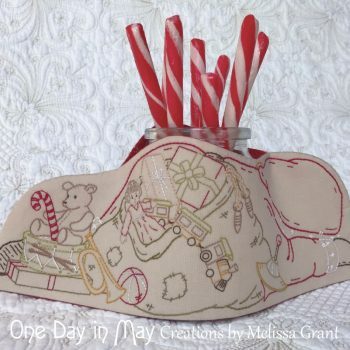 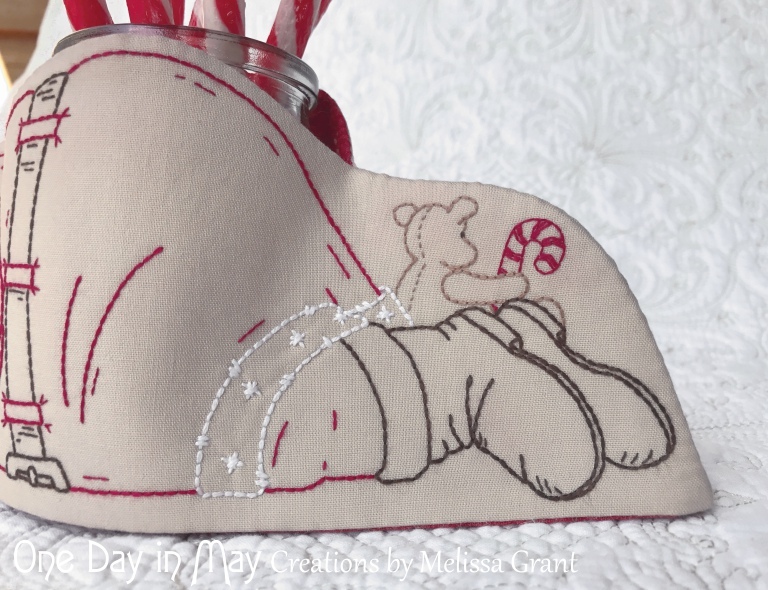 – The “Sleepy Santa ~ Jar or Candle Wrap” pattern includes iron on transfers for the Santa panels, full sized pattern sheets and an abundance of photographic and illustrated instruction. 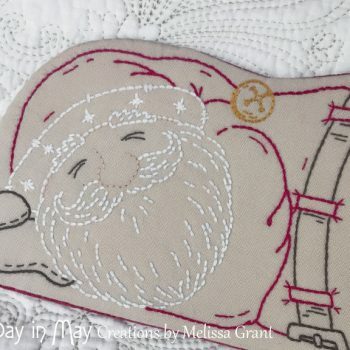 Please scroll down to find the “Sleepy Santa” requirements list. 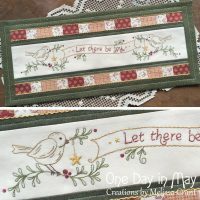 NOTE: – Some of the embroidery on this fabric (eg. 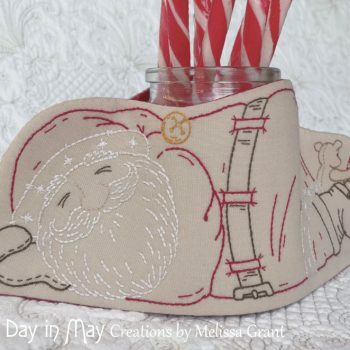 Santa’s beard) will be white. 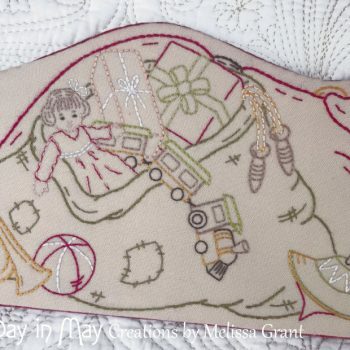 If your fabric is too light, this stitching will only be visible when close. 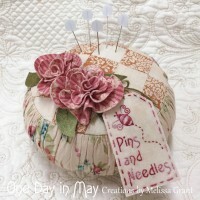 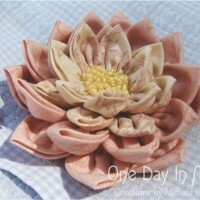 – Neutral Applique Thread – toned to suit your Medium Beige Fabric. 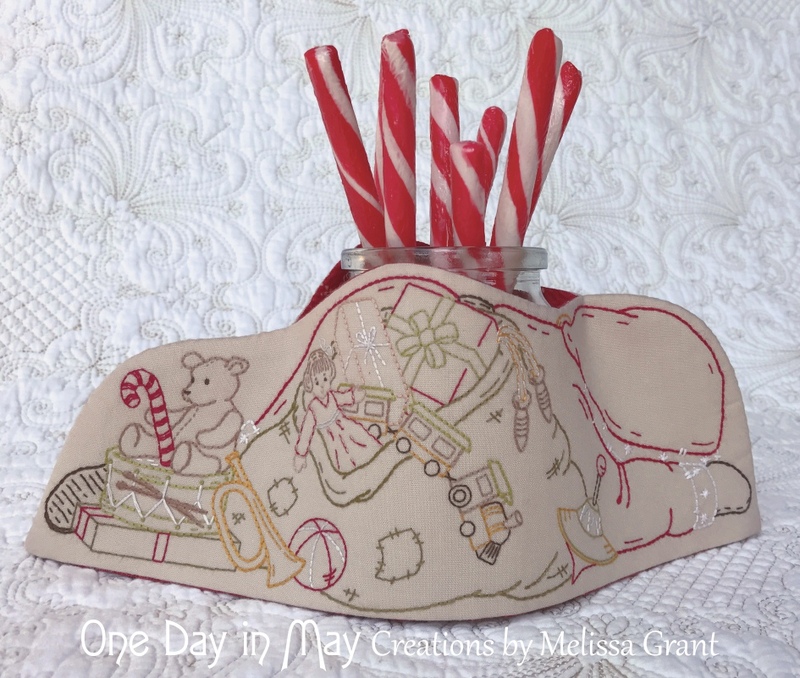 – Wonderclips (Binding Clips) – for wrap assembly – I found these more practical than pins for this project.